PLUS Please RSVP here https://www.facebook.com/events/1174207979341771/ on FB if you are coming. Come and play, or just come and hang. 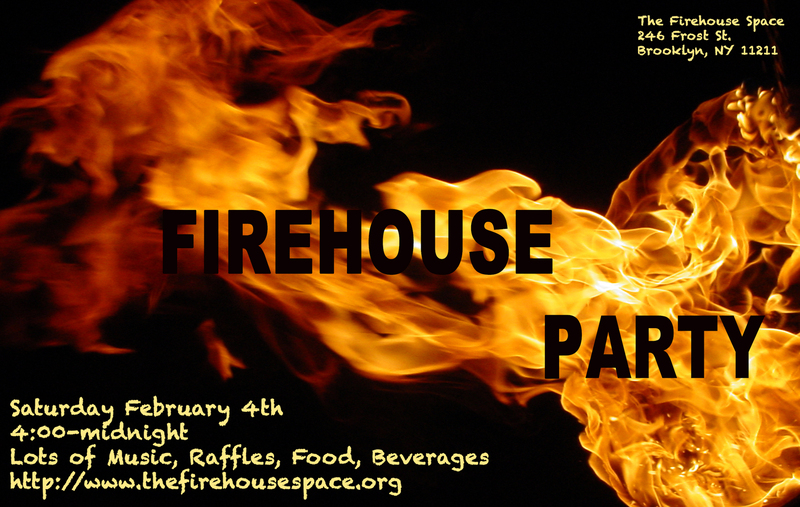 We are having a goodbye-party to the firehouse and a hello-party to the new space in sunset park. Please sign up to play it will go on from 4:00 – 12:00 and on. Jonathan Kane’s fabulous band February will close out the night starting around 11. We’ll have a 50/50 cash raffle and some other cool things plus Michael Evans will be doing his super great percussion cooking, fun to watch and very tasty! And we’ll have the usual beer and wine available.